Fill in your details on your map once you've completed the trail and hand it in at the Three Horseshoes or Saracen’s Head, and we'll send you an invite to the party that takes place in January. This money can't buy invite includes (at no extra cost) a couple of free pints in it for you, a tasty bite to eat on offer, and a goody bag, as well as the chance to meet other Ale Trailers. So if you want to be there you have to do the Ale Trail, it's as simple as that. The Little Angel is closed for a major refurbishment and will re-open at the end of February 2019. 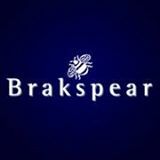 LAST PUBS ARE NOW THE STATION HOUSE, THE SARACEN’S HEAD OR THE BULL ON BELL STREET FOR YOUR T-SHIRTS. 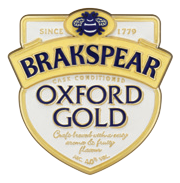 We challenge you to visit our 10 pubs in Henley on Thames, enjoy a pint of Brakspear Bitter or Oxford Gold and get your map stamped. Visit any of these 10 pubs as your final destination to claim your FREE rather fetching T-shirt. Don't feel under pressure to visit all the pubs in the same day, the Ale Trail is all about enjoying yourself. In fact, we’d rather you take your time. 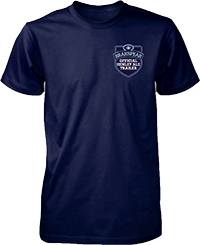 You have a year to obtain your t-shirt after all. 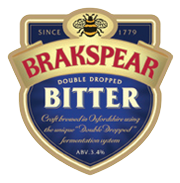 Brakspear promotes responsible drinking, and if any of the pubs on the Ale Trail think that maybe you’ve had enough for one day, then we fully support them. Consider stopping off for a bite to eat and drink lots of water along the way. For more hints and tips on how to enjoy yourself, visit www.drinkaware.co.uk. 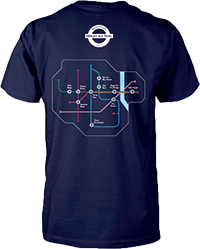 Visit any of the 10 pubs as your destination to claim your FREE t-shirt. Make sure you get your map stamped! The painting used in this year's Henley Ale Trail was painted by Doug Myers. Doug lives in Surrey with his wife Val and has been painting for over thirty years.